Fish Oil For Hair Growth – Why Should You Give It A Try? As the name reveals, fish oil is a blend of essential fatty acids obtained in the form of a light golden-yellow colored oil from the tissues of oily predatory fish, such as shark (liver), cod (liver), mackerel, swordfish, albacore tuna, sardine, herring, salmon, anchovy, tile fish, seal blubber, whale blubber, etc. According to scientists, fish oil is one of the richest natural sources of omega-3 fatty acids, mainly Eicosapentaenoic Acid (EPA) and Docosahexaenoic Acid (DHA). They are known to be precursors of certain eicosanoids and have been highly appreciated for their amazing capability of treating health issues like cardiovascular diseases, high cholesterol, cancer, diabetes, Alzheimer’s disease, macular degeneration, ADHD, autoimmune diseases, obesity, poor immunity, arthritis, inflammatory bowel disease, depression, anxiety, eczema, pregnancy related issues, fertility problems, and so on. The beauty benefits of fish oil are also pretty commendable as it can make our skin look healthier and help a lot in faster hair growth. How Does Fish Oil Work For Hair Growth? Being loaded with omega-3 fatty acids, fish oil helps us steer clear of a wide range of ailments and stay healthy from inside. It makes sure that all our internal organs work properly, which is reflected by healthy hair. In short, it manages various bodily functions in such a manner that they end up triggering the growth of our hair strands cumulatively. 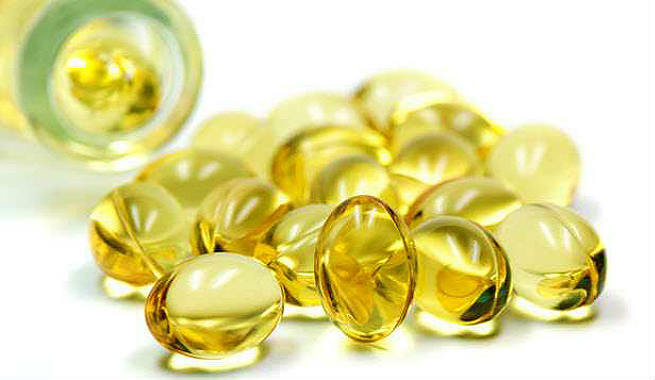 Fish oil is enriched with vital nutrients including proteins. As protein is the building block of our hair fibres, consuming fish oil can make our hair grow longer, stronger and healthier. Apart from fatty acids and proteins, fish oil is also quite rich in other hair-friendly nutrients, which feed our hair follicles and make the strands nourished. This is extremely helpful in strengthening hair roots, lowering breakage, preventing frequent hair fall, and boosting hair growth. Omega-3 fatty acids play a key role in hydrating dry scalp, thereby making it healthy and suitable for the hair fibres to grow and live on it. It also reduces various scalp issues like itchiness, flakiness, scaling, dandruff, etc., which averts hair thinning and stimulates hair growth. The unique combination of proteins and healthy fats in fish oil enhances the quality of hair considerably. Regular consumption of it will save your mane from getting weak or brittle and make it smooth, shiny and durable. The antioxidant properties of omega-3 fatty acids present in fish oil can also protect our hair strands from the harmful effects of free radicals. This is essential for the overall growth and development of healthy hair. How To Use Fish Oil For Growing Hair Fast? Include wild caught fish like albacore tuna, salmon, sardine, mackerel, herring, lake trout, etc. in your diet. It is the easiest as well as the most effective way to get the right dose of your omega-3 fatty acids. Make sure that you consume such oily fish at least twice or thrice every week. If eating fatty fish doesn’t suit you, try various fish oil supplements available in the market. They can be obtained in the forms of pills, capsules, or even liquid, but all of them are full of ‘purified omega-3 fatty acids’ derived from oily fish. 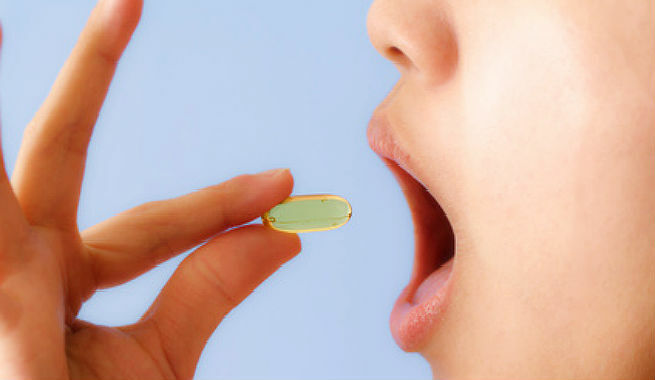 Consult with an expert to know the correct dosage based on the type of your fish oil supplement. However, fatty fish often accumulate higher levels of mercury in their body due to biomagnification and hence, too much consumption of fish oil must be avoided.